Author nhgermanoPosted on January 19, 2017 Categories Travel WritingLeave a comment on This Is Not A Good Blog (Post). 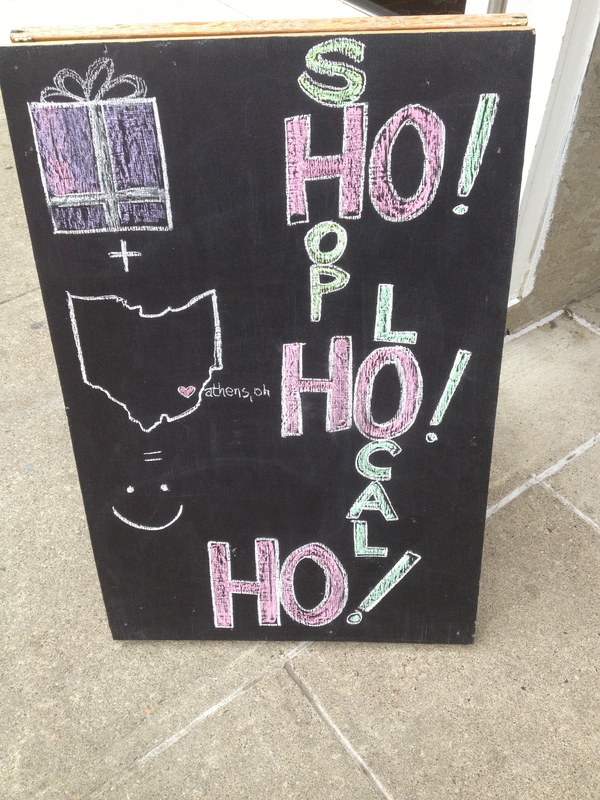 The semester is winding down and Ohio University students are winding up…on coffee. Athens, Ohio has coffee shops galore. 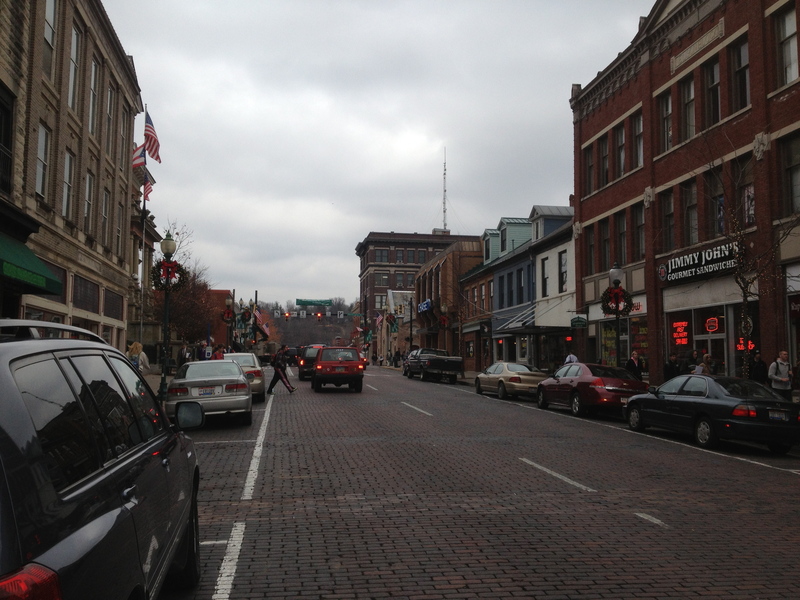 They are not only familiar stops for community members, but frequent pit stops for Ohio University students. With finals finally arrived, many students are no stranger to long hours and late nights in these coffee shops. Yet, each shop has it’s own individual environment, one that reflects the distinct characteristics for the surrounding community. As a result, many OU students develop preferences for certain hangouts. I’ve provided a brief review of the most popular stops on Court Street so that you can find the perfect place to study this week and next. Perhaps the most popular hangout, Donkey also boasts the most vibrant culture. The coffee shop, located on West Washington St., has won numerous awards for ‘best coffee shop’ locally and statewide. With poetry readings and a socially responsible menu, Donkey attracts the creative. But, Donkey, its late hours, and its overstuffed couches just might mean home for you, too. Although now serving custard, Whit’s/Perks remains a coffee shop at heart. Big windows provide natural light and a great view of campus and Court Street. Better yet, at Whit’s/Perks you can buy a small coffee for just a dollar! Court Street Coffee is your closest stop to campus. Although seating is limited, Court Street Coffee should be your go-to spot for group projects, which the shop can accommodate with its conference-style table. It reminds me of a cross between the living room at my parents’ house and Starbucks. So tell me, what’s your favorite coffee place? Check out these great events at Ohio University and in the Athens area this week. Ohio University’s Dads Weekend is an annual favorite among college students. Last weekend, dads flocked to Athens, Ohio for a long weekend with their Bobcats. Of all Ohio University’s special weekends, Dads Weekend is one of my favorites. To me, it is the perfect symbol of how Athens and I came to be. When I was ten, my dad accepted a position at Ohio University. The weekend before we moved to Athens, we had our first big night out together – the Girl Scouts’ “daddy-daughter dance.” Many years later, my dad and I shared another big night out together…That time to celebrate Dads Weekend. My dad is not just the reason I moved to Athens, he’s also the reason I am a Bobcat today. Although my dad and I were (and still are) extremely close and spend a lot of time with our family, Dads Weekend was a little awkward that first year. It was one of the first times we were alone together. We had none of my brothers’ sporting events to distract us, none of my mothers’ questions to entertain us and no one around to divert our attention. Although my dad wasn’t able to attend this year. I have learned (through observation and trial and error) a few tips to help you make the most out of your next Dads Weekend. 1. Attend an athletic event. Dads Weekend usually falls around a sporting event. For example, Saturday marked the season opener for Ohio University Men’s Basketball. But, if there isn’t a varsity game, be sure to check out club sports, intramurals or even a pick up game at Ping. If you aren’t a big sports fan, this could be the perfect opportunity to learn a little from your old man. Every year the Performing Arts Series offers a show during Dads Weekend. Since I’ve been in college, Ohio University has hosted a comedian. Although I’ve never been to a Dads Weekend show, I have heard great reviews! We have a gorgeous campus here. Take your dad around. Show him where your classes are, which dining hall is your favorite and where you like to relax. Next time you are talking about college, he’ll be able to picture it. Stop by Jackie O’s for a craft beer. You can enjoy a relaxing drink without the hassle of the “bar scene.” Jackie O’s also has great food. I highly recommend the pizza. Is your dad feeling adventurous? Take him to Casa. Although you may have a wait for a seat during this busy weekend, you’ll have plenty to do during your wait. Casa serves great (local) food – quesadillas, burritos and salsa with a distinct “Casa” flair. Plus, Casa has a fun bar and often live entertainment. 1. Tell him about all of your favorites. Where do you like to go out to eat? Where do you go when you need to escape? Offer up all the top secrets on your Athens favorites. 2. Introduce him to your friends and their dads. If you’re having a hard time starting conversations, bring in reinforcements. Chances are your friends are feeling the same way, too. Plus, once your dad makes friends with theirs, you can start planning your adventures for next year. 3. Ask him what he did when he was your age. Once you’ve told your dad all about your college experience, ask him about his! If he didn’t go to college, what did he do instead? Who were his friends? Do they keep in touch? Think of all your favorite memories, and ask him if he did anything similar. What did you do with your dad last weekend? What would you do next year?